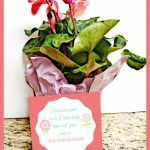 Father’s Day is just a few weeks away! 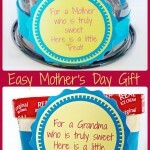 This year wouldn’t it be fun to give your ice cream loving father or husband something that you know he will love. 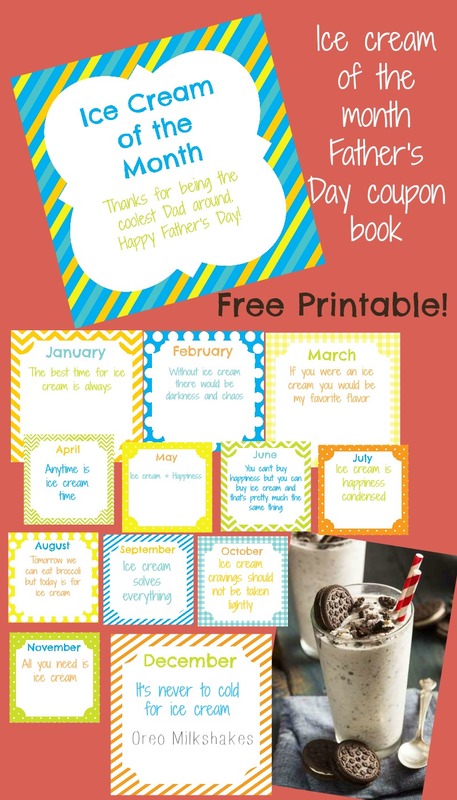 This fun printable ice cream of the month coupon booklet is sure to be something he will enjoy. Each coupon is good for one of his favorite types of ice cream each month of the year. Each card has the month printed on the top and a fun ice cream quote on it. There is room at the bottom for you to add whatever type of treat will be given that month. 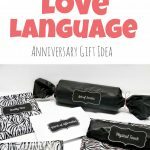 I plan on adding some of my husband’s favorites like a peanut butter hot fudge shake, white chocolate raspberry truffle ice cream, ice cream snickers, and a banana split. I think my problem is going to be narrowing down the ice cream choices to just twelve because really the possibilities are endless. 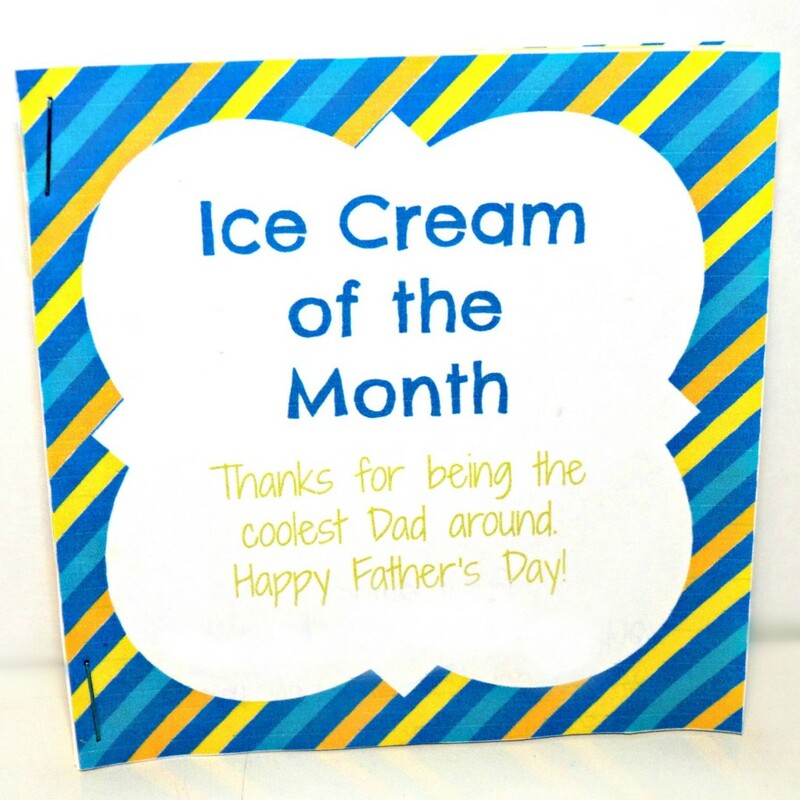 After printing the cards you can simply cut them out, and staple them together.You can then present the booklet to your husband or father on Father’s Day alongside his favorite ice cream. I am going to give the booklet to my husband with an ice cream pie. Men can be so hard to buy for, but this will be a gift that any ice cream loving man can enjoy and be able to look forward to throughout the year. 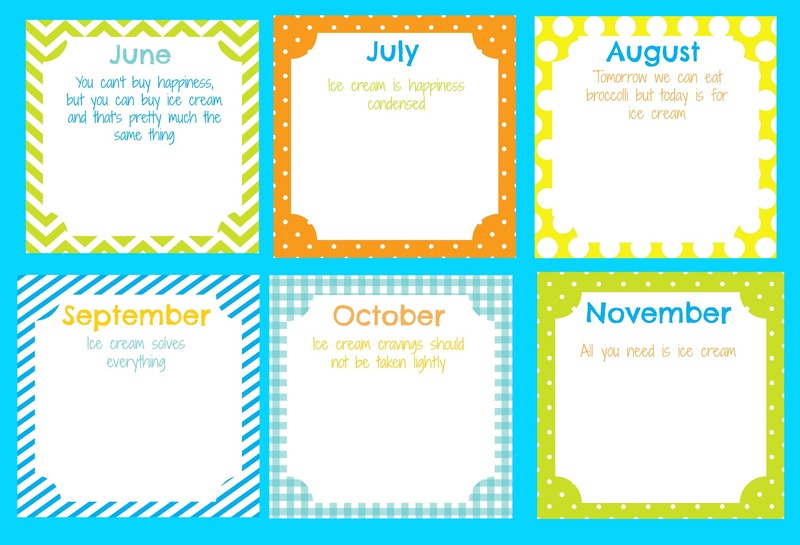 Feel free to download a free copy of the ice cream of the month coupon book. I include two different covers one for dad and one for grandpa. In case you also want to spoil grandpa this year. Enjoy! 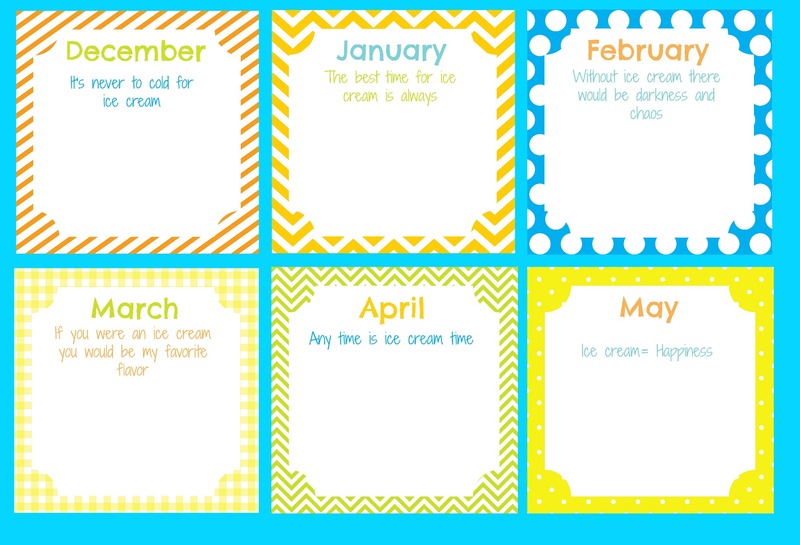 Which ice cream would you include in your ice cream of the month club? I would love to hear. Please comment and share!